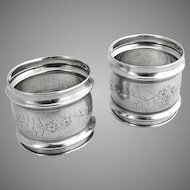 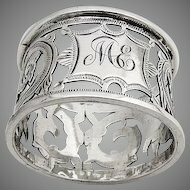 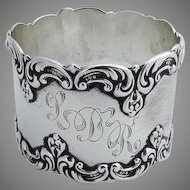 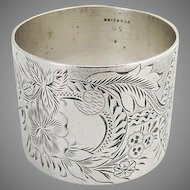 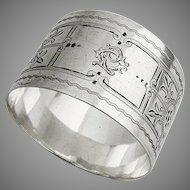 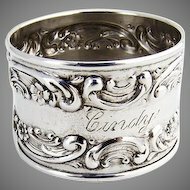 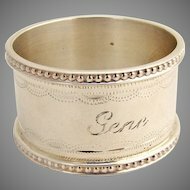 Aesthetic Large Engraved Floral Napkin Ring Beaded Rims Wood & Hughes Sterling Silver. 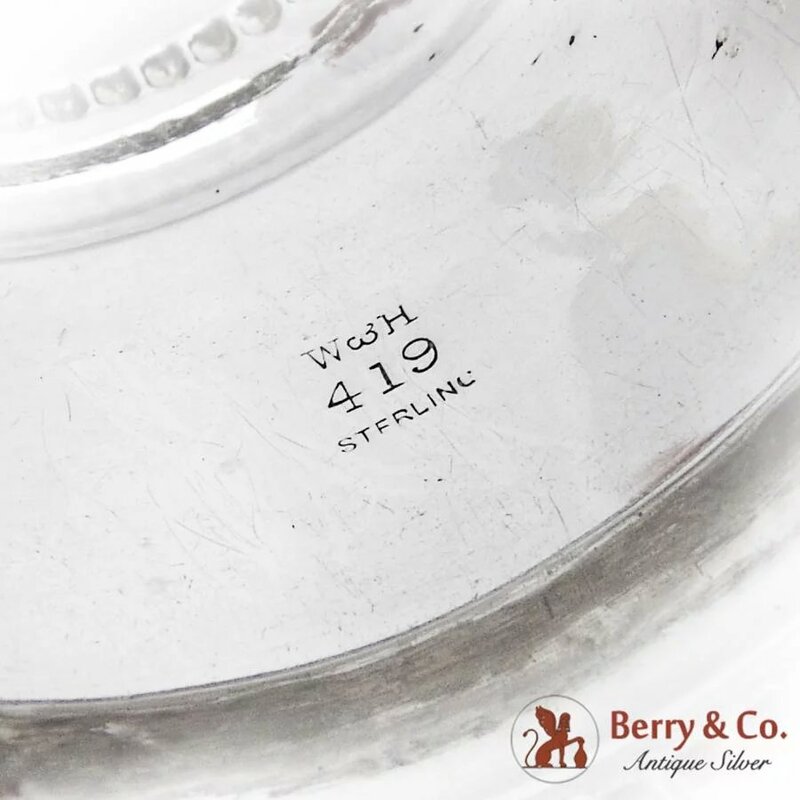 Marked 419. 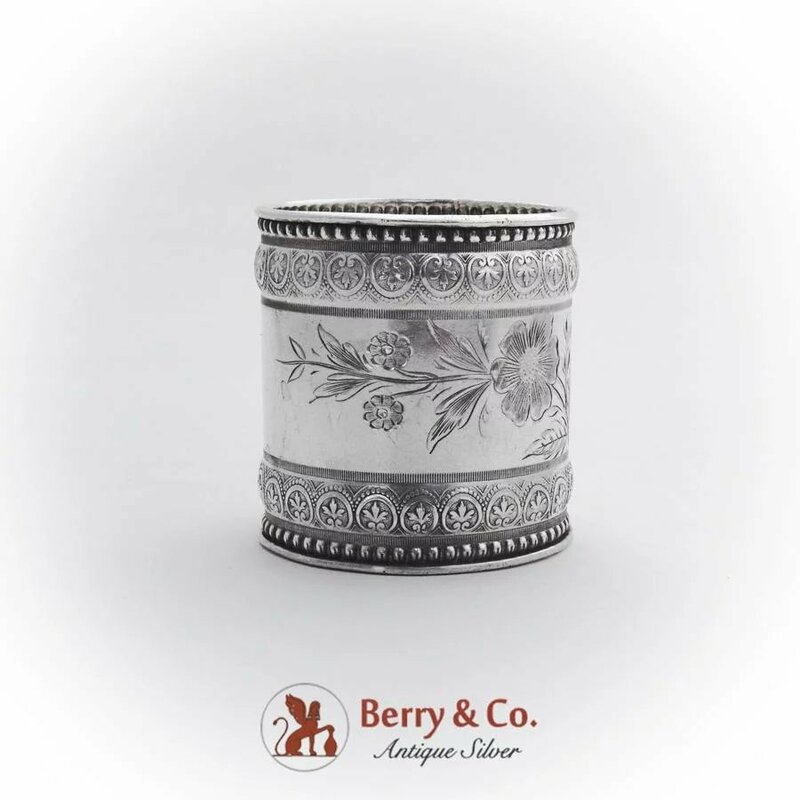 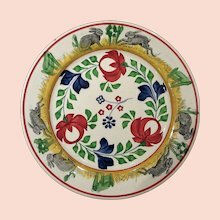 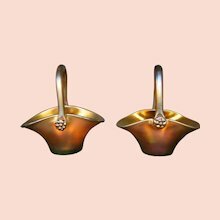 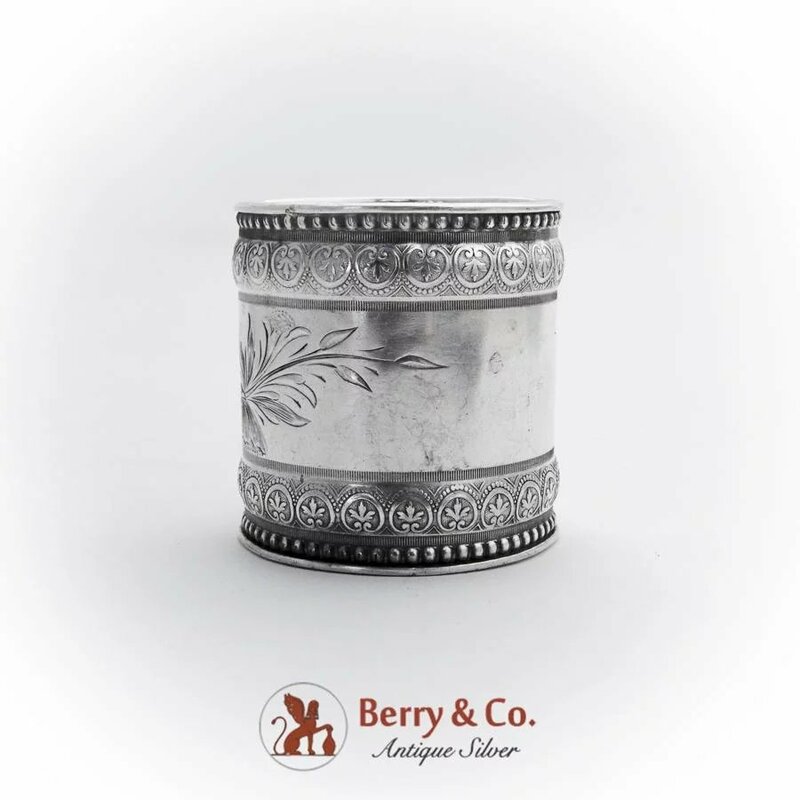 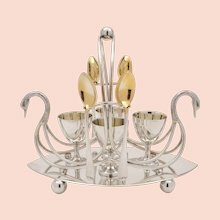 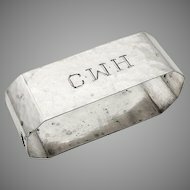 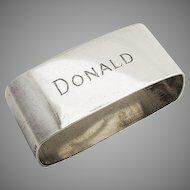 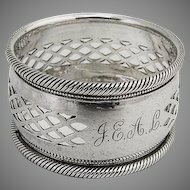 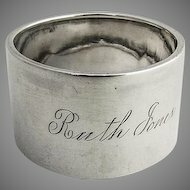 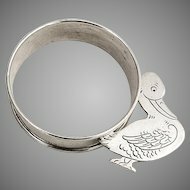 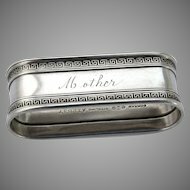 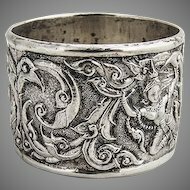 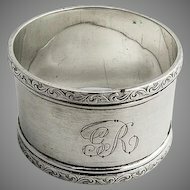 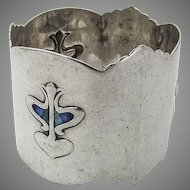 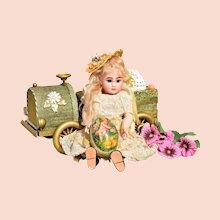 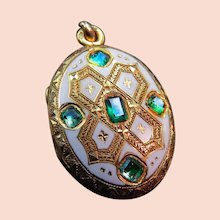 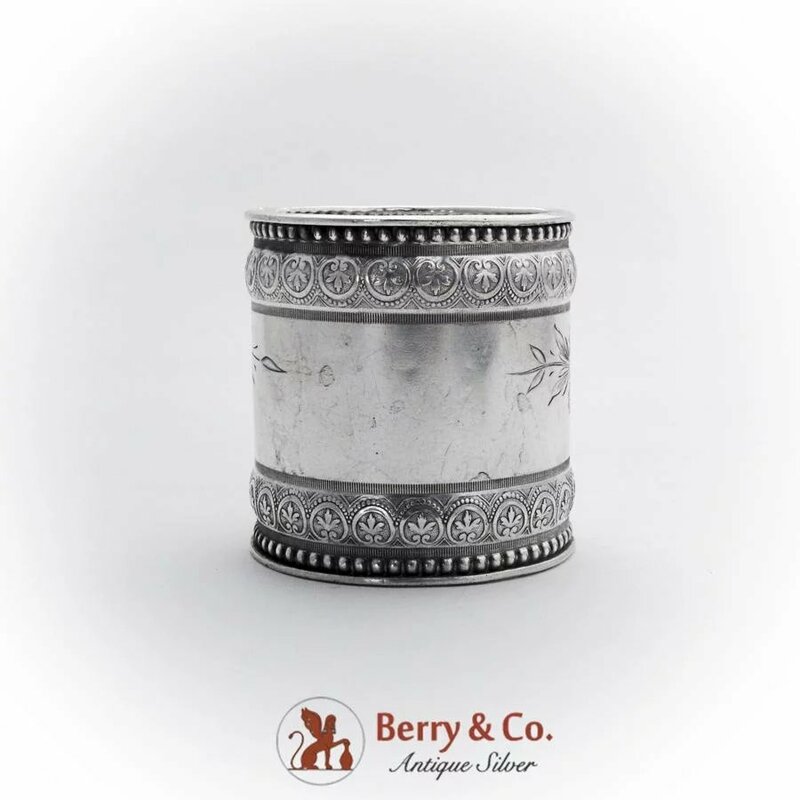 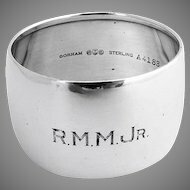 This charming napkin ring is 2" in diameter, 2" wide and weighs 27.1 grams.